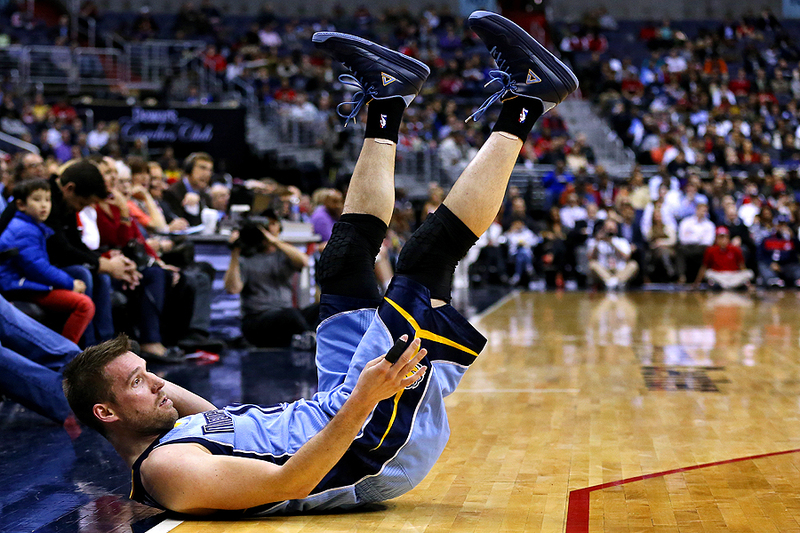 "Beno Udrih #19 of the Memphis Grizzlies falls to the court after being fouled against the Washington Wizards in the first half at Verizon Center on March 12, 2015 in Washington, DC." Recently I've been on the other side of the camera - actually - I haven't even had the camera in my hand. This past week I spent a couple days remotely editing more than five college basketball games during March Madness. I'll be the first to admit, I've never been the greatest basketball photographer. I would say that is mostly due to the fact that my time court side has been few and far between due to other assignments during hoops season. So sitting behind a computer in my office, catching hundreds of amazing basketball images the past couple of days has not only gave me a new level of respect for editors, but also, has been a great opportunity to see how my co-workers document the sport. As I approach basketball moving forward, I know it will be a lot more of a challenge as I try and one up my teammates and competition.